During the end of November and start of December, Morocco is playing Mars for InFuse. All of the consortium partners are present and conducting the final key-testing and validating campaign for the project. 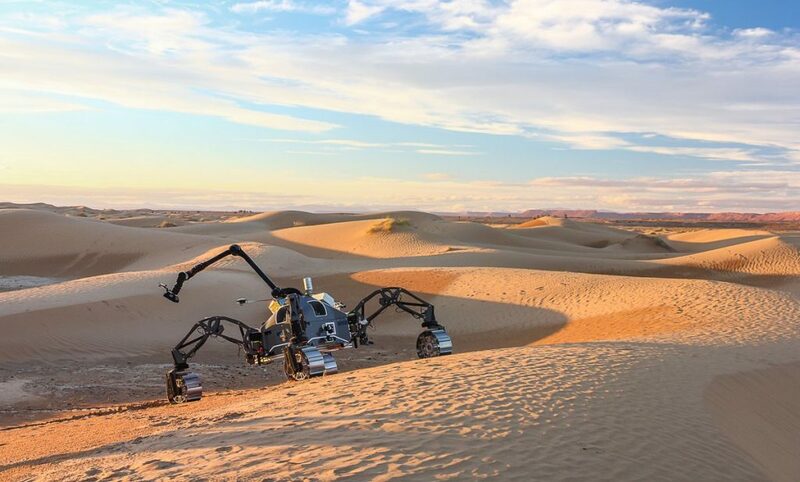 The InFuse system has been integrated onto a custom configured, with camera and lidar, Sherpa Rover from the German Research Centre for Artificial Intelligence (DFKI) and Mana and Minnie rovers from the French Laboratory of Systems Analysis and Architecture (CNRS). 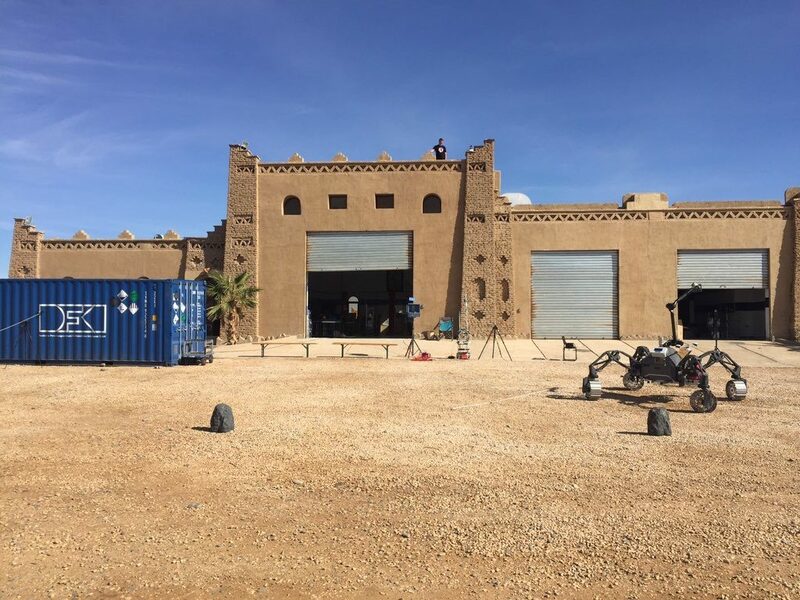 The rovers will be put to the test at the “Mummy site” in Morocco – famous for being the site of the Mummy movie shoot, almost 20 years ago. Morocco is a popular test site, due to its sandy similarities with Mars. The tests carried out by the consortium will validate the full data-fusion-framework of InFuse. After the team analyses the data collected, and the overall performance of the system, they will have detailed information about its suitability for future planetary exploration missions. The InFuse consortium has worked closely during the 2.5 year project with the other partner projects in the Horizon 2020 Space Robotics Cluster. The Facilitators and ERGO consortiums, known as OG6 and OG2 within the space robotics cluster respectively, are also in Morocco. OG6 has organised participation for all projects. You can follow the testing on the Field Trials Morocco twitter account @ft_morocco. You can also follow the @H2020InFuse twitter for updates on InFuse.